March has carried a dramatic aura since a seer warned Caesar in 44 B.C. to “beware the Ides of March,” and sure enough, Caesar was assassinated. It’s a time on the Roman Calendar notable for the settling of debts, on the eve of the end of winter and the beginning of spring. On my calendar, it’s a time to reckon with the goals I’ve set for myself for the year, and as with most people, it’s unfortunately a time when I begin to smell the stench of my New Year’s resolutions rotting. In fact, most people’s resolutions die by February 4. There’s data to back that up. 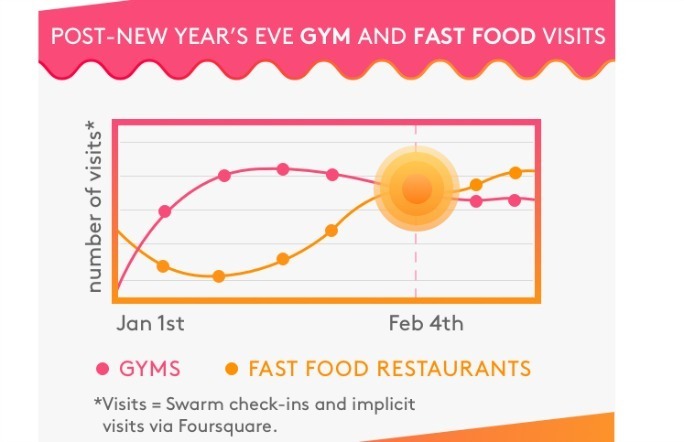 Foursquare and Swarm, two location-based apps, analyzed check-ins at fast food restaurants and gyms over an entire year. They found a 36 percent increase in gym visits during the weeks following New Year’s Day, along with a 13 percent decline in visits to fast food restaurants. But by February 4, the trends had reversed. Gym visits declined, while fast food check-ins started to rise. I’m assuming this applies to all types of resolutions, whether they concern fitness, creativity, or spirituality. The Ides of March are even more dangerous than the early days of February because I think most people continue to think about their resolutions in February and have at least a faint notion that they’ll re-engage and bring them to life. But by March most have sunk into their recliners and essentially decided that a handful of potato chips or a few hours of social media is more important than their dreams and desires. We begin to relinquish the notion that we can shape ourselves into the people we want to be. We wait for another time to make changes—such as next year, when our “future self” will surely have the discipline and resolve to change things around (not!). I made very do-able resolutions this year. I wanted to simply read one mediation a day from my book 365 Tao: Daily Meditations—a book I have owned for 20 years but failed to read on anything close to a daily basis—and then meditate for five minutes each day with my new Headspace app. This requires all of 10 or so minutes a day, and there’s no sweating, no showering, no expenditures—and I can eat whatever I want—yet I’ve only read 38 meditations (I should be at 70) and used Headspace 8 times. Patterns of behavior are difficult to change. Since I live in a world of time scarcity, since my to-do list expands with alarming promiscuousness, I often rationalize that I need to do “more important things” to accomplish all of the shoulds in this crazy business of life instead of tending to the nourishment of my soul. Here’s the thing, though: The days I spend 10 minutes reading a meditation and using Headspace are infinitely better than when I don’t. Here’s one more thing: I like to believe that I’m a creature who can shape myself into a better self. I don’t want to wallow in past behavior. I want to be an actor in life, a creator. I want to change. So … instead of letting March’s maggots feast on the rot of my neglected resolutions, this is the time to actually double down and commit. The most dangerous moment is always pregnant with opportunity. In fact, there’s research that shows that starting—or re-starting—a goal is most effective when you do it on a “milestone day”—the first day of a new year, a new month, a new week. So this Monday, I’m going to start again. And I’ll start again next Monday if my efforts flag. And I’ll start on the Monday after that and after that, etc., if need be. The main thing is to keep starting, keep going. After a lapse, it’s important to forgive yourself, readjust your goals, and give yourself a fresh start so that a bad week of writing doesn’t lead to a bad month of writing, which then turns into a bad year. It’s all about designing your life around the things you rationally want to achieve instead of sinking into the powerful claws of more impulsive needs. Life goes by too quickly to wait for next year. We must claim our dreams and create a system to realize them. I don’t want to die with a list of all of the things I wish I would have accomplished. I don’t want to be a person unable to change, unable to improve myself. Picasso famously said, “Every child is an artist. The problem is how to remain an artist once we grow up.” How can we be creative every day? That’s the question Pep Talks for Writers sets out to answer. And it’s an important one, right? I know you feel story ideas beckoning you to give them voice. You’ve felt the wondrous, magical rushes of creativity. You know how being creative can change the way you wake up, how you approach your work, how you connect with other people. Approaching the world with a creative mindset is wildly transforming—because suddenly you’re not accepting the world as it’s delivered to you, but living through your vision of life. That’s the gift I see each November during National Novel Writing Month (NaNoWriMo). I witness thousands of people break down the barricades that prevent them from writing the novel of their dreams and take on the Herculean task of writing a novel of 50,000 words in just 30 days. Writing suddenly leaps up from the cluttered basement of their daily tasks to stand tall on the pedestal of life for an entire month. An audacious goal and deadline serve as creative midwives (and an occasional bullwhip), and writers are propelled by the scintillating rushes of their imagination and the galvanizing force of the huzzahs coming from what can seem like the entire world writing with them. It’s challenging to muster such energy each day. The galloping pace of NaNoWriMo is over, and it can be difficult to get up on the proverbial writing horse again. Urgent items on your to-do lists clamor for attention, and tackling those items is important, necessary work—buying groceries, washing dishes, fixing that squeaky door that has bugged you the last three years—so, really, how could you keep doing something so trivial as write? Suddenly, you start to feel creativity falling down on your to-do list. You know the joy it gives you, the life meaning, yet those slithering, pernicious beasts called “the demands of life” loudly yell what you should be doing (and I won’t even mention the siren calls of social media). No one assigns us to be creative. And, what’s more, society usually doesn’t reward creativity, at least not unless your work makes it to the shelves of a bookstore, the walls of a gallery, or the stage of a theater. You might not think you’re a creative type, but to be human is to be a creative type, so one of the shoulds in your life should be to make sure creativity is not only at the top of your to-do list, but that you put your creativity into action every day. If you put off your dreams today, you create the momentum to put them off all the way to your deathbed. We yearn to touch life’s mysteries, to step out into the world looking for new solutions to old problems, if not new worlds altogether. We need to tap into our vulnerabilities, seek to understand our fears, look at life through others’ eyes, ask questions, and open up our awareness of the wonders of the universe. Each story is a gift, a door that opens a new way to see and relate with others in this crazy, crazy world. Stories are the oxygen our souls breathe, a way to bring the unsayable, the unseeable, the unspeakable to life. Our creative lives shouldn’t be a hall pass from the stiff and forbidding demands of our lives. Writing our stories takes us beyond the grueling grind that life can unfortunately become, beyond the constraints of the roles we find ourselves in each day, to make the world a bigger place. For a writer, life hasn’t really been lived until one’s stories find their way onto the page. We exist in the flickers of a rift with the world, searching for words that will sew the fissure, heal it. A rupture, a wound, finds the salve of a story. If you do not listen to your own being, you will have betrayed yourself. If you don’t create, you hurt yourself. The signature of your self is formed by the work you put into your story. Making art tells you who you are. Making art in turn makes you. So it’s your duty as a writer, as a person, to build a world through your words and believe in your story as a beautiful work of incarnation, to see it as a gift to yourself and others, as something that elevates life with new meaning—your meaning. Writing a story is many things: a quest, a prayer, a hunger, a tantrum, a flight of the imagination, a revolt, a daring escape that ironically leads you back to yourself. As long as we’re creating, we’re cultivating meaning. Our stories are the candles that light up the darkness that life can become, so we must live in the warm hues of our imaginative life. It’s not easy, though. 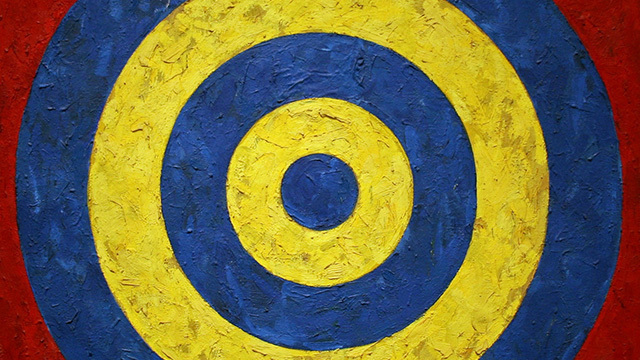 The efforts of creativity carry angst and psychological obstacles that must be overcome. In this book, we’ll explore 52 different approaches to being creative every day. Each pep talk will include ways for you to explore your creative notions and angles, because life and writing are really ongoing creative experiments. Some pep talks may sing out to where you are now, while others might become relevant later in your writing process. The important thing is to keep your creative life at the forefront of your thoughts and actions. We become the things we do, and I can promise you, if you excavate your life to make room for your imagination, if you open up time to keep writing, you won’t just finish your novel, pen the poem in your head, or submit a short story you’ve worked so hard on, you’ll change, because once you realize yourself as a creator, you create worlds on and off the page. If you hear the whispers of a novel coming from the other room, or ideas for other stories caterwauling for their day in the sun, dive in. “The days are long, but the years are short,” some wise person once said. Your story can’t wait. It needs you. 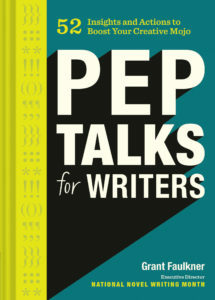 Buy Pep Talks for Writers: 52 Insights and Actions to Boost Your Creative Mojo. No one knows quite how to fail like a writer. Each day brings with it wrong turns, doubts, swaths of deletions, endless rejiggerings, and even the thought of giving up entirely. “Human speech is like a cracked kettle on which we tap crude rhythms for bears to dance to, while we long to make music that will melt the stars,” Flaubert said. There’s an inherent chasm between the book in your mind and the one you manage to get onto paper. It’s difficult not to measure your words against an ideal of your vision, not to mention the works of your favorite authors, so your words inevitably resist singing in the way you want them to. You might actually say writing is a special training ground of failure. “Writing is frustration—it’s daily frustration, not to mention humiliation. It’s just like baseball: you fail two-thirds of the time,” said Philip Roth, who won such awards as the National Book Award and the Pulitzer Prize for his “failures”. Perhaps “fail” isn’t quite the right word, though. The word “fail” is fraught with negativity, catastrophe, and downright shame, but failure, especially in writing, isn’t necessarily any of those things. In fact, failure can be the breeding ground of innovation. Edison viewed failure as just another part of the scientific process, and the scientific process isn’t all that different from writing a novel. At the heart of both is the question, “What if?” Both include theories followed by tests. For example, a scientist might ask what would happen if a person fell into a black hole (a good science question that is also a good novel question), whereas a novelist might ask what will happen if my main character decides to call the married man she’s in love with? Or, to ask a question of narrative technique, what if I interrupt the chronology of the story with a flashback to tell the character’s back story? Or you might experiment with perspective. What if I write this story in the second person, or from different characters’ point of view? That’s one of the beauties of National Novel Writing Month: it encourages such risk taking. Its credo is that if you trust in your intuition, immerse yourself in your story, focus on moving your story forward, and banish the notion of making mistakes, you’ll experiment in ways that you might not have. Samuel Beckett famously wrote, “Ever tried. Ever failed. No matter. Try Again. Fail again. Fail better.” The quote has been wrested from his oblique and gloomy experimental work Worstward Ho, and Beckett didn’t have any intention for it to become the inspirational mantra it’s become, but this notion to “fail better” is interesting to ponder. It’s a Zen koan of sorts that demands individual interpretation. For me, to “fail better” is an invitation to experiment, to pause and truly scrutinize your story. Are you holding back from what’s truly at stake in the story? Are you being too nice to your characters? Have you allowed yourself to truly push your language? Or perhaps you’re suffering from the dreaded notion of the “right way to do things,” which has plagued many a writer. With all the how-to-write books available, it’s easy to think that you need to write your story correctly, according to others’ rules. But in the end this is your story. You have to write it your way. Failing better is also a matter of ridding oneself of the fear of failure. That fear fences one in and doesn’t allow for creative risks. Imagine if Virginia Woolf feared writing with the lyrical stream of consciousness that opened windows into her characters’ interior lives? Or if Vincent van Gogh feared that people would see his paintings as smudges of color instead of vibrant representations of his fiery spiritual state? Woolf and Van Gogh each had to go through Edison’s 10,000 experiments to master their groundbreaking approaches. Failing better is a creative mindset that must be nurtured. In psychologist Carol Dweck’s book Mindset: The New Psychology of Success, she explores the difference between “fixed” and “growth” mindsets. “In a fixed mindset, people believe their basic qualities, like their intelligence or talent, are simply fixed traits,” writes Dweck. One is born a great athlete or a great author or a great mathematician. In a “growth mindset,” however, “people believe that their most basic abilities can be developed through dedication and hard work,” says Dweck. So what is failing better? Maybe it’s just openness, the desire to see, and in seeing to learn, to begin again, always. That is where the joy of life and creativity reside—in the constant testing, the constant searching. Failing better is an attitude of always moving forward, of looking around the next corner. It’s a mindset of not looking for rules, but of following one’s curiosity. It’s a mentality of fun, of self-reflection, of privileging the integrity and unique personality of your story. Failing better is also doing what you’re afraid of. For many writers, this might be making your work public, whether that means giving it to others for feedback, submitting it for publication, or reading in public. For years—no, for decades—I wouldn’t read my work in public. I told myself it was because I wrote my stories to be read, not performed. That was true, but the larger truth was that I was afraid to read in public. Finally, I was forced to read, and in doing so, I learned what stories resonated most with people. I learned what they listened to and when they tuned out. I also met other writers and developed a writing community, which helps me fail and succeed better every day. “Failing better” is the exact opposite of “failing worse”. Failing worse is failing from a lack of effort or a lack of imagination or a lack of verve. Failing worse is comparing yourself to other people’s talent or accomplishments and deeming yourself on the short side of things. Failing worse is not testing the limits of what’s possible. Risking mistakes offers us the opportunity to do things differently, to explore beyond where we thought we were going, to include the spicy element of chance into our work. You can’t create anything good without mistakes. Mistakes are a foundation of art and creativity, so you should search them out. “Make New Mistakes. Make glorious, amazing mistakes. Make mistakes nobody’s ever made before,” Neil Gaiman counseled writers. Writing through failure in the search of beauty is what makes writers such a rare breed. We’ve chosen to practice an art that is so challenging that it practically damns us (or it can feel that way). We’re so often alone with our words, and write without much approbation, or never enough of it, but even as our words fizzle, even as our plots falter, we show up to fix things, and fix them again and again. We know that with enough tinkering, with enough alchemy, with enough moving things around and shaking things up, we can capture the elusive beauty of the story at hand. We can fail better. Inspiration is a funny thing. It’s powerful enough to move mountains. When it strikes, it carries an author forward like the rushing torrents of a flooded river. And yet, if you wait for it, nothing happens. The irony is that so much is actually created—mountains moved, sagas written, grand murals painted—by those who might not even describe themselves as particularly inspired. Instead, they show up every day and put their hands on the keyboard, their pen to paper, and they move their stories forward, bit by bit, word by word, perhaps not even recognizing that inspiration is striking in hundreds of tiny, microscopic ways as they push through another sentence, another page, another chapter, of their novel. This is the principle way writers finish 50,000 words of a novel each year during National Novel Writing Month, and it applies to being creative the rest of the year as well. Inspiration is often characterized as a thunderbolt—a brilliant flash that strikes from the heavens—and that metaphor certainly holds truth because inspiration can be a sudden igniting force, random and illuminating and otherworldly (and even a bit dangerous). Yet I sometimes think of inspiration, at least the big, gobsmacking moments of inspiration, as more like Bigfoot. Sightings of Bigfoot are rare, and he’s so elusive that he can’t be captured, physically or even truly on film, so his very existence is in question. It’s wonderful to believe he exists, because it’s nice to think of the world as strange and beautiful enough to spawn such a creature, but if you go out into the woods and look for Bigfoot, you’re not likely to find him, just as you can’t force sweeping gusts of inspiration to appear on any given day. “And the muse? I have no idea who has one, but if anyone does, I’d like to know so I can stage a kidnapping,” said author Kami Garcia in a NaNoWriMo pep talk. This mythological muse was often illustrated as a creature in a beautiful flowing gown, playing a harp and singing a song from the heavens, but I’d like to recast this muse because maybe, just maybe, the “kidnapping” Garcia mentions is possible (or at least a type of kidnapping). I see the muse as invisible sprights that sleep in the whispery spaces between each word. This sprights are enlivened only by the breaths of a churning imagination, by the stirrings of a story moving forward. Such a muse is ineffable, so miniature that she often goes unnoticed, yet an author must trust that the responsibility for bringing those story sprights to life resides in the spool of words spinning onto the page. The muse doesn’t sing the words of a story; the muse is conjured in the telling. True words, but such tough moments can certainly feel like they’re killing inspiration more than they’re nurturing it. Your thoughts dull. All of the synapses that used to fire with such eager alacrity have either gone into a deep hibernation or abandoned you all together. Perhaps your initial bolt of inspiration carried you through the first hour, the first day, the first week, or even the first month of your novel, but it’s becoming a faint memory, a cruel con, because without its strong winds, you feel adrift, your journey stalled. This is a dangerous moment because when inspiration stops carrying you, the doldrums of self-doubt creep into your thoughts (perhaps in between sips of your favorite caffeinated beverage and your diligent intentions). You tell yourself no one wants to read your story. You tell yourself your characters are clichés, your plot unremarkable. And you—you!—are not a writer. You are a person with silly dreams who should know better, and you should just return to a life where you sit and simply be entertained by other people’s imaginative creations. A life of binge watching Netflix isn’t all bad, is it? Here’s what you must know: Every single creator throughout history has experienced such moments. The question is how to deal with such deadening humdrummery. “Inspiration is wonderful when it happens, but the writer must develop an approach for the rest of the time,” said Leonard Bernstein. The unromantic and unheralded “rest of the time” is actually a yeasty opportunity. It’s an invitation to fertilize your imagination. If a dulling lull is smothering your willpower and caffeine’s power to propel you through another paragraph has dissipated, then pull away from the page for a spell: Pick up your favorite book to be reminded of the fantastic places words can take you, take a walk and marvel at butterflies twirling about in dapples of sun, or go to a museum and stare at paintings and people—anything that it takes to stir and heighten your senses, to let your mind dash back onto the playground of the imagination and caper with your new ideas. “It all comes back,” Didion writes. So step away from your writing if need be and find a source of inspiration that will put air beneath your wings. But don’t step away for too long. Many a writer has made a lifestyle out of stepping away. You must return after an hour or an afternoon and concoct inspiration on the blank page. Let the blank page be a spigot for all of the dramatic, ornery, lyrical, and shocking thoughts in your head that are eager to come out. “The blank page is yours,” wrote Chuck Wendig in a NaNoWriMo pep talk. “Cast aside worries over art and criticism. Imagine a land without rules. Imagine that nobody has ever told you that you cannot or should not do this thing. Those people were wrong. Forget those voices. Because, for real? When you plop your heart onto the page, you’ll realized that the words you create every day are each fruit-bearing kernels of inspiration. Each word wants more and more words to follow. And you are the God that sends those words—those story-igniting lightning bolts—into a world that’s coming to life before your own eyes. You are your own muse. Write a page or two about what inspires you to write—whether it’s the desire to create lyrical prose, escape this world, or explore your inner world. After you’ve written this short piece, focus on the things that inspire you as your guide to sit down and write on even the worst days. Your big “I” inspiration can open a pathway back to writing. For years I’ve dreamed of going on one of those perfect, luxurious writing retreats where one can wake early in the morning, take a reflective walk through the woods, write in the meditative peace of a well-furnished cabin, and then dine in the evening with inspiring artists. Day after day, facing down the challenges of my novel, refining its shape like a sculptor, my thoughts deepening to the point where the lines between the real world and my fictional world blur. I’ve applied to a few writing residencies over the years, and, in fact, I wrote an article about different residencies: everything from a cabin in the Denali wilderness to a retreat in Jack Kerouac’s house to prestigious fellowships at places like Yaddo. Beyond the difficulty of getting accepted for one of these residencies, I realized I didn’t have the time to go to them. Most are for a month, and my life as a working parent just doesn’t allow for that. Then I came up with the idea of a “mini writing retreat”—to go someplace for just a few days and do some extreme writing, inject my novel with 10-12 hours of writing each day to propel it forward a month in time, in essence. I just completed such a mini retreat last weekend, and I marvel that I haven’t been doing this at least once or twice a year. I wouldn’t say it was exactly fun, but it was gangbusters productive. In fact, I powered through a second draft of my novel. Here’s what I found made it a successful writing retreat. I went to a town (Petaluma) an hour away. Too close, and it wouldn’t have felt like a retreat, and I would have been distracted by home matters. Too far, and I would have wasted precious time getting there. I found a nice-enough but not too-expensive hotel (the Metro Hotel) which had a room I was comfortable writing in, and a downstairs café with self-serve coffee (I started writing at 4 a.m., so sitting in the café with coffee was crucial). I’d thought about just getting a cheap hotel, but I feared becoming a version of Barton Fink, depressed by a dank room, distracted by hotel noises. The hotel was just a few blocks from downtown, so good restaurants and coffee shops were nearby (I tend to be a roaming writer, so it’s important to have other places to go to write). There was a movie theater downtown. When writing 12 hours a day, it’s important to take a break. There was also a brewpub nearby where I could have a beer at the end of the day to celebrate the day’s work (see the importance of taking a break in no. 4). The town was nice, but not full of diversions, so I wasn’t tempted to be a tourist. I had a goal driving me—I wanted to reach the end of my novel revision, no matter what. If I wouldn’t have set this goal, I probably would have settled for writing eight hours a day, or less. I easily could have made it a reading retreat, or a dawdling retreat. I made sure I was well equipped in all matters, whether it was books I needed for research, Moleskine notebooks, or my favorite writing foods (or a cigar for non-caffeinated stimulation). I was well rested to start. Extreme writing takes the kind of energy and endurance a challenging sporting activity does. I knew I couldn’t muscle my way through 12 hours of writing a day if I started at a deficit. I got buy-in from my significant other. It’s important to get support from your partner, and maybe even your friends and family. You want a clear head, not a guilty or distracted head. My life probably only allows a couple such writing retreats each year, but it was nice to move a creative project forward not in dribs and drabs, but with speed and force and resolution. I’m going to consciously plan these retreats every year, and hopefully jumpstart several more creative projects. What’s the key element of any good story? If you peruse the how-to-write section of any bookstore, you might think good stories are all about craft: plot, suspense, dialogue, etc. Sure, such things matter, just as the ability to string together a good sentence or draw arresting characters matters. But in the end, I think the thing that matters most is an author’s ability to be vulnerable on the page—to be open, daring, unabashed, unashamed—fearlessly willing to bow to any taboo, unwilling to heed any notions of embarrassment. The original definition of courage comes from the Latin word cor, meaning heart. Brown says that to tell the story of who you are with your whole heart takes courage. It’s only through such vulnerability that the connections that give purpose and meaning to our lives are formed. “Vulnerability is essential to whole-hearted living,” says Brown. It’s also essential to whole-hearted writing. It’s the birthplace of creativity. Our stories won’t truly connect with readers unless we take the emotional risks that spark kindred feelings of authenticity. The urge to be a writer is a generous act at its core, after all: We want to share our story with others, to give them a world that will open doors to insights and flights of the imagination. I unfortunately can’t share the Writer’s Digest piece because it’s only available in print at the moment, but here are some outtakes. I had to ask myself, Why did I become a writer in the first place? I made a list. And here’s what I discovered was on it: I wanted to put words to the shadowy corners of people’s souls, to understand the desperate lunges people take to give life meaning. I wanted to explore the enigmatic paradoxes of being, how desire can conflict with belief, how yearning can lead to danger. Life is so mysterious, nuanced, ineffable—equally disturbing as it is beautiful—so I decided it was my duty as a writer to be brave enough to risk ridicule in order to bring my truths to light. Why write a sanitized version of life? Do I end up writing foolish things? Blessedly, yes. In literature the archetypal Fool babbles, acts like a child, and doesn’t understand social conventions (or at least pretends not to), so the Fool isn’t held culpable for breaching any rules. As a result, the Fool can speak the truth in ways others can’t. You might say the Fool is the ultimate storyteller: He takes the conniving risks necessary to tell the tale only he can see. “Looking foolish is good for you. It nourishes the spirit,” wrote Twyla Tharp in The Creative Habit. The life of the imagination can feel trivial or even forbidden in the adult world where life’s practicalities rule. I didn’t call myself a writer for years because I thought it was pretentious to do so until I’d published. I needed a badge of validation from the external world. But by not calling myself a writer, I realized I was not only putting up a shield, I was unwittingly diminishing myself. A secret identity weakens one and brings on the urge to hide yourself in your words. To write with verve demands asserting yourself as a creator—to yourself and to others. The worst thing about not allowing yourself to be vulnerable on the page is that your story will never be written with the force or vigor it deserves. It won’t truly exist in the world, and you’ll feel that lack as a writer. “A work of art is a confession,” as Albert Camus said. Camus didn’t mean a personal confession, but a revelation of the raw truth of the soul. Everything I write must now measure up to such a standard. 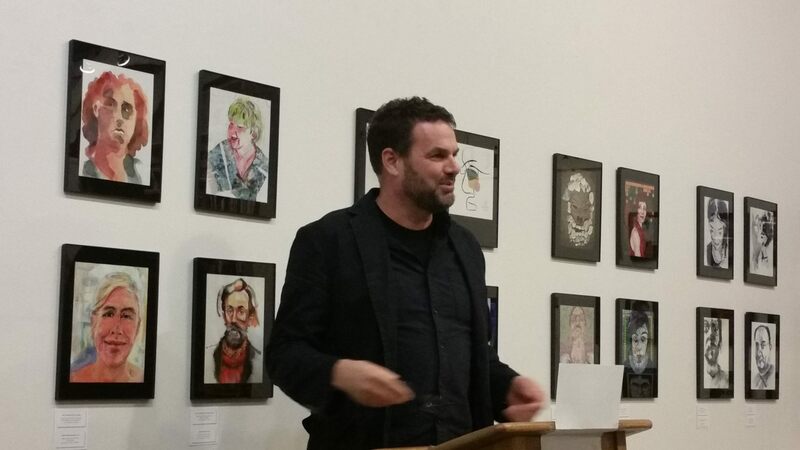 It was just about 16 months ago that I started reading my stories in public. 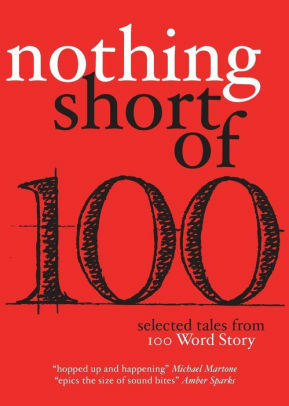 I scarcely read when I was younger. In fact, I strenuously avoided readings. A professor once told me that the notion of an author giving voice to his/her work by reading it is a recent idea. 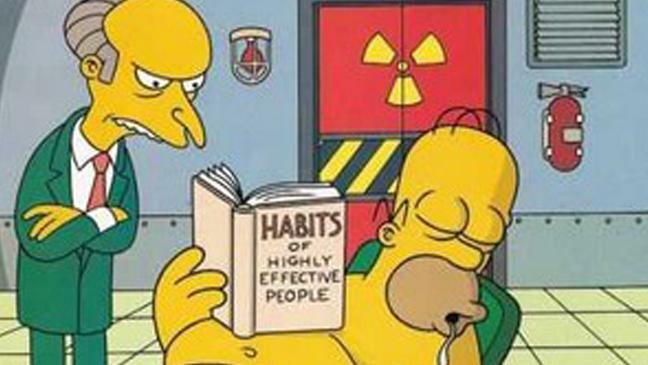 In the past, authors hired actors to read their work. This made complete sense to me. I wrote to be read by others, not to read. But I didn’t read my stories for other reasons beyond this philosophical one. I didn’t read because I simply didn’t like to, because it made me uncomfortable. I felt awkward trying to intone an authorial voice, to infuse my work with a voice and personality. I didn’t want to read with a poet’s breathy cadence, yet I also didn’t want to read with the gustatory bravura of a performer. And I didn’t know what other options there were except to read with a flat, banal voice. I was also scared, perhaps even fearful of shame. I was worried that I’d look up to see blank faces, that my stories would reveal their inadequacies in a lifeless air filled with my stilted voice. A while back, though, I realized that I needed to face down my demons. I was putting up obstacles where there didn’t need to be any. Even if I was a mediocre reader, even if I was worse than mediocre, I needed to get out and read. Just to learn how to read. Just to participate. I can’t evaluate the quality of my reading these days, but I’m now happy I’ve read—and that I read somewhat regularly. My initial fears have been quelled. With practice, I’ve even come to enjoy readings. I still write to be read, not to read, but there is something nice about hearing my stories, seeing people’s reactions to them. I’ve met people and made friends as a result. Recently I read with Peter Coyote of all people at the Why Are There Words reading in Sauslito. No matter what happened at the reading, just doing the reading allowed me to spend an evening with him, talking about poetry and Buddhism. If I hadn’t been there, I would have been sitting at home alone, probably scrolling through Facebook. And that’s the nub of it. Reading one’s story opens up communities to a writer. And communities are valuable when practicing such a solitary craft. So I’m happy I’m reading after all of these years. Here’s my bit from Why Are There Words. 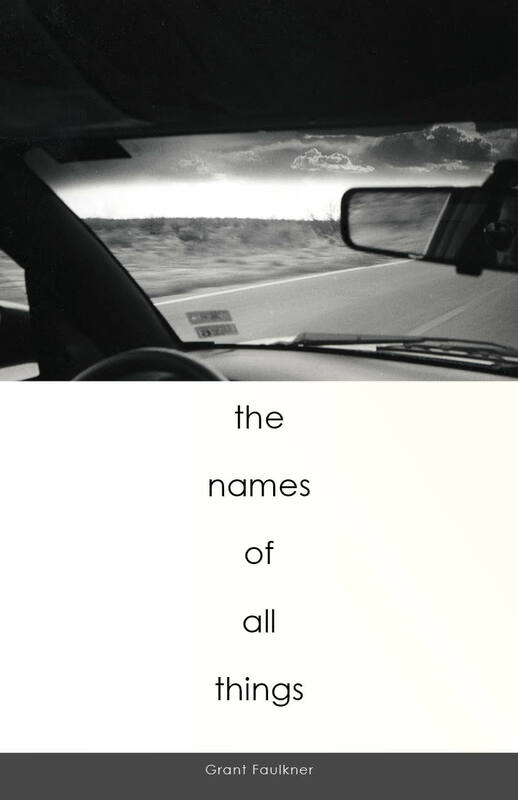 I’ve now been a part of two book cover designs, and I adhere to one overwhelming principle. You’re going to live with your book for a lifetime. It’s a little like getting married. It’s a little like buying a house. Make sure that every time you look at it, you love it. You’ve worked so hard on your story, after all. It’s a gift you’re giving yourself and the world. So make sure your story is dressed to the nines, that you’re proud to be seen in public with it. Don’t take a short cut; don’t be too frugal. Capture the book inside in some fundamental and perhaps unforeseen way. Ideally, you want a designer who will read your book and look for relevant details to work with—not just mindlessly follow the conventions. I was fortunate enough to be introduced to a designer, Patti Capaldi, who did both. I admired her aesthetic, but beyond that, I most appreciated the way she worked with me. We worked as partners, creative collaborators. Here’s how the process worked. 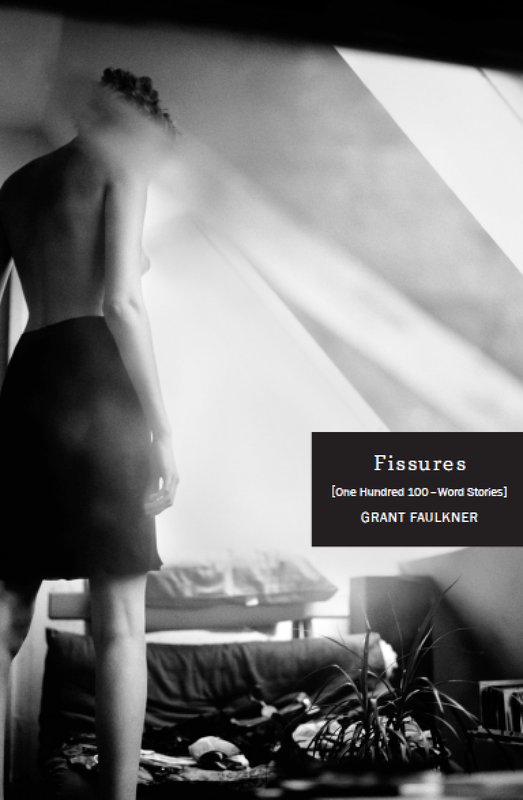 For my most recent cover, the collection of 100-word stories, Fissures, I filled out a questionnaire that included listing such things as the adjectives that described my stories and the adjectives that didn’t describe them. Then I sent on images of my favorite covers from other books. Patti followed up with a phone conversation to talk through everything. The conversation was important because it was critical to make sure we were on the same page and had a trusting relationship. As a result, when Patti later sent me comps to look at, it was easier to give feedback and weigh different options because we had a common point of reference and a shared vision. I offered to help Patti research images (to cut down costs for my publisher). I learned one thing: it’s really difficult to find the perfect image. I sent on a handful of possibilities, but none of them were quite right (and thank God Patti offered her guidance on why they weren’t right). We ended up going with an image Patti chose. There are amazing image resources online, though, so I want to pass on the ones Patti sent to me. Insanely cheap, huge collections with lots of junk and a surprising amount of good stuff too! It’s a good time to take stock of things. I say that because it’s February, the month when many people sink into a pre-New Year’s Resolution state, content with not doing yoga or meditating or writing—whatever big life-changing goals they bravely asserted at the beginning of the year. I recently read that 88% of people fail their New Year’s Resolutions, a statistic that jives with my overall success rate. They fail largely because they experience a lapse, and then they don’t come back from the lapse. I wrote about this in a post on the NaNoWriMo blog, I’m Going to Finish My NaNo Novel No Matter What. The key is to make a plan to recover from the lapses you’ll inevitably experience. For example, I notice that people tend to beat themselves up when they teeter from a goal. It’s difficult to start again if you’re too busy chastising yourself for failures. So you have to give yourself a bit of self-compassion. As in … tomorrow is a great day to start _______ again. Another reason might be that instead of setting big yearly goals, people do better with smaller monthly goals. I got this idea from Dave Beck, NaNoWriMo’s IT director, who sets monthly resolutions instead of yearly ones. He aimed to run 100 miles in January (his “Janulution”), and made it admirably to 80 miles. The idea of conquering goals in a month’s burst of activity sounds familiar, but I can’t remember where I heard about it. I’m digging into the second draft of a screenplay, so I’m going to dare myself to finish it in the next 23 days (that’s a stretch goal, but what’s life without awkward stretching fueled by coffee). 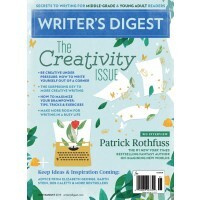 I’m writing a piece for Writer’s Digest’s creativity issue on vulnerability. It’s due on February 18, so this Februlution comes with a built-in crack of the whip. I’d say that’s enough, but I want to write more blog posts this year (as part of a book on creativity). Let’s see if I can write three more this month. Short ones, perhaps. Okay, it’s all documented now. I’ll tweet this post, and then it will formally reside in the public record of accountability where people can chide and cajole me, and maybe even celebrate my goal victories at some point. I’ll report back in March. And I’ll have my Marchlutions figured out by then.